If parents do wait during a lesson, I ask that any phone calls be taken outside. Rescheduling missed lessons with my full schedule, is not always possible, but we can try. 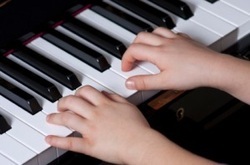 Piano lessons run on time, and you will always receive a 30-minute lesson, even if I am running late. If you are running late, the lesson will end at your scheduled time as to not impact other students.